Kate Takes 5: So how does one become a successful author? Well don't ask me! So how does one become a successful author? Well don't ask me! Sadly I don't know the first thing about becoming an actual published author - but being a blogger I do feel there is a book in me somewhere...if only I could find it's plot and a spare thousand hours or so to actually write it. Hmm. However I do know an actual published author - and very successful she is too. So I thought I'd ask her to share her wisdom with us and I got a humdinger of a guest post back in return. Hollie Smith has written a grand total of ten books so far so listen up! How did I become an author? Well, more by luck than judgement, if I’m honest, and by being in the right place at the right time. I was a freelance journalist with a vague idea for an anger management manual for parents, since I myself was a parent badly in need of some anger management skills. Someone told me that a small but respected publishing company called White Ladder Press had a book proposal form on their website, so I filled it in and pressed send. After an ‘interested’ phone call from WLP’s then director Roni Jay, and some time spent sweating over a more detailed pitch, I was gutted when the idea foundered at the first editorial meeting. Happily, Roni insisted on taking the idea back to the board and won them over (the thrill of which was dampened somewhat by the news that it would earn me a not-very-princely advance of £2,000 - and no, I haven’t made a further penny in royalties from it since!) But anyhoo, that’s how Cool, Calm Parent came about, and on the back of it, I was subsequently asked by the people at WLP (now owned by Crimson) to write a further three books. More or less simultaneously, I was approached by Netmums director Siobhan Freegard, who wanted me to write the third title in their three-book deal with Headline. This is what I mean about being in the right place at the right time: Siobhan knew of me because she’d helped me find case studies for features, and because I’d written a piece for the Times about a Netmums campaign to make mums happier. So that’s how my involvement with the Netmums titles began. I’ve now had a hand in six of them. Because of this relatively painless route into publishing, I’m always a bit stumped when people ask me for advice on how it’s done. So, in order to include some actual, useful guidance in this post, I turned to some of the other authors I know. The first thing I asked them was, is it even worth trying to get your book published these days? Isn’t it just too competitive out there? And isn’t the book industry dying a slow death? Reassuringly, they all answered ‘no’. It’s advice echoed by Ben Hatch, who went from local newspaper journo to author with the publication of his novels The Lawnmower Celebrity and The International Gooseberry, and whose funny and touching travelogue, Are We Nearly There Yet? is currently riding high in the Amazon travel bestseller list. He says the key is writing because you want to – and not because you hope to get a publishing deal, or to make money from it. So, whilst optimism is a good thing in this business, it’s important to be realistic, too. You’re going to need a number of factors in your favour if you’re going to publish that book of yours. 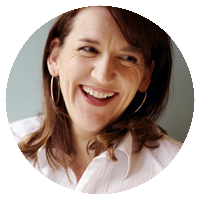 ‘In my experience, it’s about having a great idea, good writing skills, a handful of contacts - and a healthy dose of luck,’ says Joanna Simmons, co-author of Can I Give Them Back Now? : The Aargh to Zzzzz of Parenting, as well as a handful of books on interiors. If you want to get someone who counts interested in your book, you’ll need to pitch it. I won’t go into the whys and wherefores of publisher versus agent here – helpfully, the issue’s already been neatly debated by Jane Alexander and her fellow author Keris Stainton in this post on Linda Aitchison’s site, Freelancewritingtips.com. But whether you know someone or not, you still need to work up a pitch that’s going to grab these people by the nuts and say ‘commission me’, which in itself, is a challenge. With non-fiction, you needn’t have written a book first in order to sell it – a pitch based around an outline, a chapter breakdown, and perhaps a sample chapter, is usually all you need. For fiction (by all accounts a much harder nut to crack), the usual practice - unless you’re already an established writer and you can convince a publisher of your book’s worth before you’ve actually written it all - is to complete the whole manuscript before trying to sell it, and offer up just a synopsis and the first few chapters as a taster. Whatever you do send out for consideration, for gawd’s sake don’t let any typos, spelling errors, or grammar gaffes sneak through. It’ll make you look a bit crap. Yay! So you’ve got yourself a commission…? Even once you’ve pressed send, bear in mind your lovingly crafted manuscript will almost certainly return to bite you on the bottom – with edits to make, queries to answer, and perhaps even whole sections to re-write or add in. Every author hates that bit. But you get used to it. Don’t wait for permission… publish yourself! If you want to follow in Hazel’s footsteps, meanwhile, and need to know more about self-publishing, I’m told that Catherine Ryan Howard is your woman. There’s also guidance to be found at Clare Christian’s Self-Publishing Advice Service. Right, well, I’d better stop now. It’s already a lot longer than a post ought to be! My grateful thanks to the authors who shared their thoughts, and to Kate for hosting. If writing a book is a dream of yours, I hope it helps.